Trials associated with the above. Mr. Hanamirian also has notable expertise in advising other professionals, including accountants and attorneys, on positions they may take with a particular tax return reporting item or in a particular transaction or litigation matter. Mr. Hanamirian also advises accountants and attorneys on professional liability, professional standards and ethics matters. Formation of Tax Policy, Member. State of New Jersey, Committee on Attorney Ethics. Nadia Soghomonian is Counsel at HLF. Mrs. Soghomonian’s first job out of law school was with the Office of the Commissioner of Major League Baseball. Among several other intriguing projects at MLB, Mrs. Soghomonian supported aspects of the Collective Bargaining Agreement negotiations, player grievances and was involved in Senator Mitchell’s investigation into the use of performance enhancing drugs. In 2010, Nadia commuted weekly to Latin America where she worked on a major restructuring of MLB’s International Operations; establishing and executing a variety of policy initiatives and mitigating legal exposure for MLB and its Clubs in global markets. Mrs. Soghomonian has experience working with technology startups where she has handled internal legal matters including human resources, securities and financing, intellectual property and contracts. Board of Directors, Sportenk, Inc.
Jennifer Vosbikian, an Associate at HLF, practices primarily in the areas of tax law, corporate transaction law and business law. Prior to joining the firm, Ms. Vosbikian worked as an Associate at PricewaterhouseCoopers, LLP, where she focused on matters relating to State and Local Tax, International Tax and Mergers and Acquisitions. Her combined background in accounting and law provides a unique capability for advising and handling a business or corporation’s internal legal matters—including financing, human resources and contracts. Ms. Vosbikian has been actively engaged in guiding start-up companies from initial formation through expansion and management of entrepreneurial demands, as well as their associated property work. Actively involved in the legal and civic communities, Ms. Vosbikian continues to support and stay involved with the Marshall Brennan Fellowship Program at Rutgers School of Law – Camden. This program provides exposure of constitutional law and understanding of civil rights to inner-city high school students. Additionally, her commitment to young adults is reflected in her work as a youth mentor/trainer for the Peer Leadership Program in New Jersey. This organization develops leadership skills in middle school students. Ms. Vosbikian is also committed to charity work for the American Heart Association and the Leukemia and Lymphoma Society. Robert A. Hanamirian, 80, of Fort Washington and New York City, who was the son of Armenian immigrants and rose to become an international tax lawyer, died Monday, June 25, of natural causes at his New York home. From 2001 until 2018, Mr. Hanamirian was a tax lawyer with the firm of Kranjac Tripodi & Partners LLP on Wall Street. 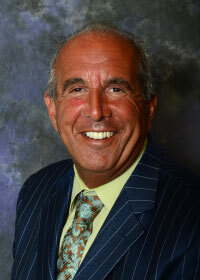 For the last five years, he had also been of counsel at the Moorestown law firm run by his son, John M. Hanamirian. From 1995 to 2001, Mr. Hanamirian operated a solo law firm from his Fort Washington home. A first-generation Armenian American, Mr. Hanamirian was born in Philadelphia to Mooshegh and Hratcha Hanamirian, who fled the Ottoman Empire in 1915 in response to the slaughter of Armenian citizens by Turks. The Armenian Genocide resulted in the deaths of 1.5 million Armenians in what is now Turkey. His parents lived in China before reaching the United States in 1920. Once in Philadelphia, they became the proprietors of the York Market, a general store in Chestnut Hill. They owned and operated a Middle Eastern frozen foods company elsewhere in Philadelphia. Initially, Mr. Hanamirian spoke only Armenian. He graduated from Cheltenham High School, where he played football. He graduated from Temple University and Temple’s Beasley School of Law, and later completed a master of taxation degree at New York University School of Law. Although first in his law-school class, Mr. Hanamirian encountered ethnic bias when he applied for work at some of the “white shoe” Philadelphia law firms, his family said. He responded by emphasizing the paralegal work he had done in law school, and was soon hired as an associate lawyer by the Philadelphia law firm of Schnader Harrison Segal & Lewis LLP. He worked for Schnader for 11 years, and for other Philadelphia law firms and in solo practice, before joining Kranjac Tripodi. In 1960, Mr. Hanamirian married Pauline Kash. The couple had two children whom they raised in Fort Washington. The couple divorced in 1980. Pauline Chapjian, as she became after remarrying, survives. In 1983, he married Sharon M. Hanamirian, who also survives. Like his father, John M. Hanamirian became a lawyer. Mr. Hanamirian’s daughter, Deborah Nareen Hanamirian, had multiple sclerosis. She lived at Inglis House, where the family visited frequently. She died in 2016 at age 54. Mr. Hanamirian loved animals, especially his German shepherd, Toby. In addition to his son and former wife, Mr. Hanamirian is survived by two granddaughters and a sister. Laura M. Temoyan is the Senior Litigation Paralegal at HLF. Lead paralegal in the Mass Tort Litigation Department. Responsibilities included case management, coordination of all mass tort cases, case review, preparation of pleadings and discovery, filing all necessary pleadings with the New Jersey Superior Court, Philadelphia Court of Common Pleas, Eastern District of Pennsylvania, New York Supreme Courts, and Federal Multi-District Litigation (Southern District of West Virginia). Management of the mass tort programs located within the Philadelphia Court of Common Pleas as well as the Multi-District Litigation. Lead paralegal in the New York Staff Legal Office. Responsibilities included case management and coordination (approximate case load of 350 to 400 cases); drafting and filing all necessary documentation for all stages of litigation; including discovery and pleadings; medical record review; trial, arbitration and mediation preparation; deposition preparation; expert deposition and trial preparation and client contact. Leading paralegal for trial and all major cases within the Manhattan offices. Manages all electronic filing (ECF and NYSEF) for three staff legal offices, conducted all legal research and expert contact for three staff legal offices in New York region. Recipient of the Zurich Bronze Award and nominated as an Ambassador to the Zurich 100th Anniversary for the New York office. Legal practices in Commercial/Insurance Litigation. Responsibilities included case management, coordination of large nationwide litigations, filing all necessary documentation with the Federal Courts and the Superior Courts of New Jersey, legal research, preparation of all discovery and pleadings and, preparation for all pretrial, trial and post-trial work. Elza Grigoryan is a recent graduate from Ave Maria School of Law. Ms. Grigoryan served on her law school’s Honor Board for two consecutive years, with her last year serving as Chair Judge. Elza held leadership roles in student organizations where she was provided the opportunity to promote and lead pro bono work for the community and engage in community service projects. Ms. Grigoryan was an intern in the European Parliament (EU) in Brussels, Belgium, where she was exposed to legal issues on an international level. During her time at Parliament, her duties included drafting amendments for various EU organizations and representing her Member of European Parliament in closed meetings. Susan Fries is the HLF Finance Manager. Sue has nearly thirty years of experience and manages the HLF accounts receivable, accounts payable and the day-to-day books and records. John Lyons is a senior at Pennsylvania State University and is an intern at HLF.